Moving forward with ELTChoutari.com rejoicing new years and new tastes of academic curries, here we come with new issue of the online magazine. While saying big bye to 2018 and wishing Happy New Year 2019 to you, the editorial board would like to thank millions of readers and those who have contributed something to the magazine in the past ten years and so. We would like to express our gratitude to the past editors for giving birth to Choutari and their invaluable effort to give it a shape. On this occasion, Dr Sharma, Dr Phyak and Bal Ram Adhikari also share their reflections on the journey, contributions and the future of ELTChoutari.com. We, Karna Rana, Jeevan Karki, Ashok Raj Khati and Praveen Kumar Yadav, the current editors, would like to collectively extend sincere gratitude to millions of readers who have ever supported us and many other writers by reading varieties of articles published on this magazine and by providing feedback to develop our works. Your continuous support has ever made us promising academics and ever inspired to volunteer our time and effort to promote this magazine and we hope you continue your academic activities and share your reflections in the future issues of this magazine. In the previous ten volumes, ELTChoutari.com has published teachers’ experiences of learning and teaching English, university students’ reflections on their academic writing, researchers’ views, ideas, arguments and suggestions on improving academic productions and teacher trainers’ experiences of training Nepali teachers to teach the English language in public schools. Particularly English as a medium of instruction (EMI) in government schools in Nepal, teachers’ poor English, under-developed research culture in Nepal, learning to research, teaching writing skills, unclear language policy, ICT in the classroom teaching, and reflections on learning and teaching English have attracted the attention of thousands of readers in the past 89 issues of this magazine. We believe that the writings would have positive influence on academic activities of teachers, students and professionals. Also, this magazine would have contributed something positive in policy making, language planning, classroom teaching and research writing. ELTChoutari.com, an open online magazine, allows professionals, researchers, teachers and students from across the world to share their writings as few issues in the past have published international articles from various countries such as India, Bangladesh, Vietnam, Pakistan, Jordon, Ghana, and so on. Many articles published in various issues have received good impact with citations in standard peer-reviewed journals. We hope the magazine will have much brighter days in the future. This issue includes various reflective writings including instinct responses from the founder editors, teachers, ELT practitioners and workshop participants’ (the participants attending the reflective writing workshop the last month) on-the-spot lived reflections on reflective writing. While releasing this issue, we take the pleasure of welcoming and introducing two new energetic colleagues Babita Sharma Chapagain and Ganesh Kumar Bastola. 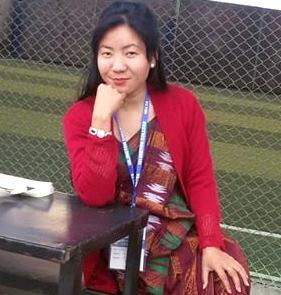 Babita Sharma Chapagain is a Hornby Scholar (University of Warwick, UK, 2014/15) having completed MA in ELT and Master’s degree in ELT from Kathmandu University. She is a freelance teacher educator from Nepal having gained 15 years experience of working as a teacher and teacher trainer. She also brings in experiences of writing and reviewing articles. Likewise, Ganesh Kumar Bastola is an M. Phil graduate from Kathmandu University in English Language Education. He is a teacher, teacher educator, and researcher and translation practitioner, who also brings writing and reviewing experiences. They will work together on our editorial team. Finally we, the current editorial team, would like to thank the contributors in this issue and founding editors for their continuous support. Jeevan Karki, a leading member of our editorial team, deserves special thanks for his overall support in this issue. Thank you Ashok Raj Khati and Praveen Kumar Yadav for your cooperation. We hope we will have brighter days ahead.